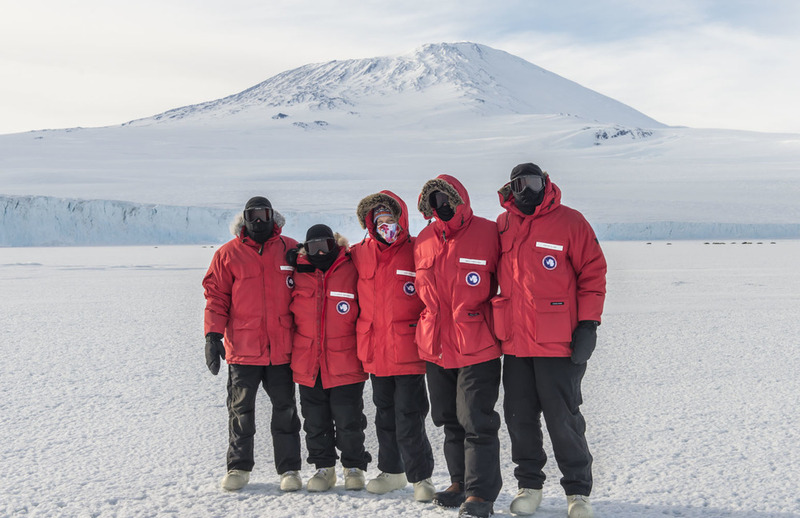 After a very quick trip down with no weather delays, our six person-team from Hawaii, Montana, and Washington State arrived at McMurdo Station. The first two days were filled with briefings, orientations, and safety and environmental training. Scroll down to view photos from our 2015 season. End of 2015 Season. As of Dec. 5 our time at McMurdo has come to an end and the entire team has redeployed to our homes in Montana or Hawaii. We spent the last week packing up our equipment for winter storage or shipment back to our home institutions, and packing up the many pycnogonid samples we've collected this season to send them back home to labs, as well as to museums and collaborators for further study. Our ride back from McMurdo to Christchurch: a Safair (South African Airlines) L-100 chartered by the Italian Antarctic Program. View of Mt. Erebus, the world's southernmost active volcano, with Pegasus Field (one of the two McMurdo airstrips) in the foreground. View out the porthole of the L-100 as we fly out of McMurdo. Goodbye Antarctica until next year! Steve samples the pies at Thanksgiving Dinner in the galley. Thanksgiving strawberries in Antarctica are a rare commodity and not to be hogged. Pictures of our lab and field spaces. After setting up the lab upon arrival in early October and getting in our many training and safety class requirements, we did both field work (see SCUBA tab) and many experiments in the Crary Laboratory at McMurdo. 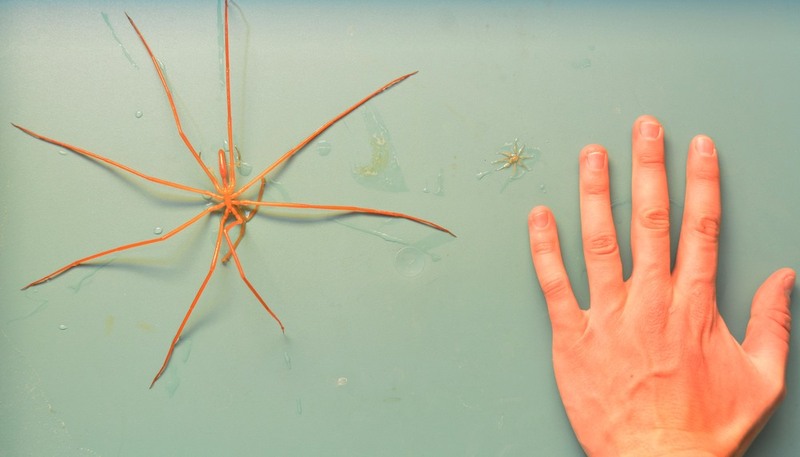 We collected exciting data on sea spider metabolic rates, materials properties of their legs, effects of temperature on development, and what the physical parameters of their natural habitat (oxygen, temperature, salinity, pressure) are really like. Caitlin photographing a pycnogonid (genus Colossendeis) that was collected at the Intake Jetty. Bret testing a sea spider's ability to hang on in flow in a large circular tank that's been modified to work as a flume. Using oxygen sensors to measure the metabolic rate of a sea spider in a sealed chamber. Bret in the lab working with the materials tester. 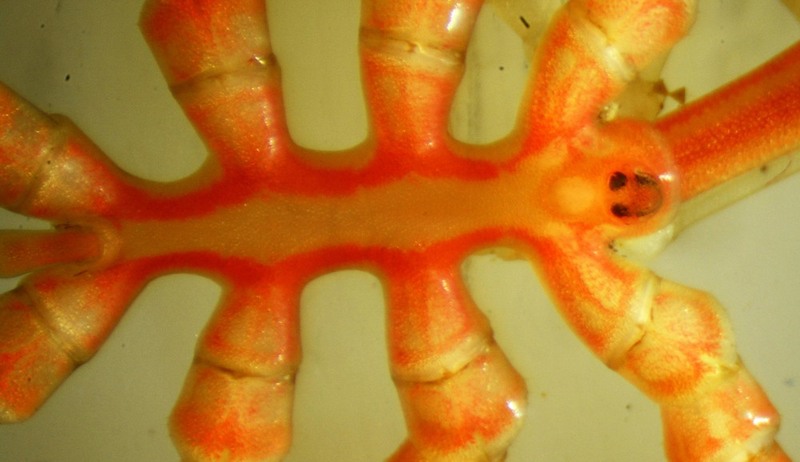 How strong are a sea spider's legs? Giant Colossendeis collected at Turtle Rock. McMurdo Sound, Mt. Discovery, and the Royal Society Range viewed out the window of our lab in the Crary building. The last sunset of the year is on Saturday Oct. 24th at 1:09 AM, after which we will have 24-hour sunlight. An experiment running in the hallway of the Crary Lab. It isn't ours, but we think it's cool. Our team watching as the "carps" (carpenters) set up the solar power pack on the dive hut at Turtle Rock. The hut was dragged out on skis by a large tractor which drilled the hole and is now packing snow around the hut as insulation. Bret and Steve: Antarctic SCUBA heroes. October 7-10. Our first few days on the Ice have been filled with safety training, orientations, and getting the lab set up for our physiological and biomechanical work. Soon we'll be out in the field collecting animals so we can start collecting data! Our team in front of Mt. Erebus (an active volcano on Ross Island, where McMurdo Station is located) during sea ice training. Getting off the C-17 after the 5 1/2 hour flight from Christchurch. Antarctica from the window of the C-17. Almost there! Part of sea ice training was learning what to stay away from. One thing to avoid is icebergs that are embedded in the frozen sea ice. Because the seawater slowly melts the icebergs from underneath, the bergs become less buoyant, sink down into the ice, and drag down the sea ice that's immediately around them. This creates flooded pools with thin ice covers that a person or vehicle can fall into. USAP travel to McMurdo Station stages out of Christchurch, New Zealand. Here are some pictures form the trip down. Amy, Bret, Caitlin, and Steve gathering around an iPad at the USAP Passenger Terminal in Christchurch. When we arrive at McMurdo we'll lose all smartphone and handheld connectivity. Spring flowers at the Botanical Gardens in Christchurch. 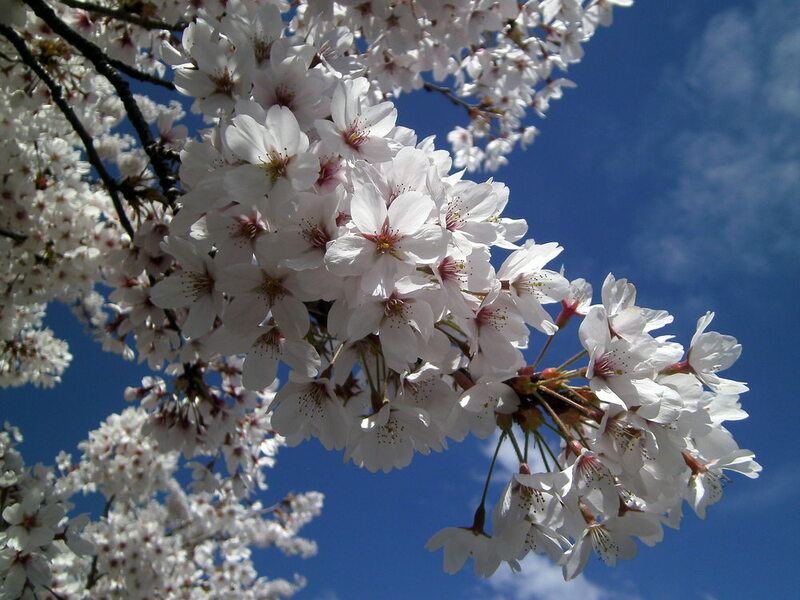 October = spring in the Southern Hemisphere! The crew working communally on the web page at our hotel in Christchurch. So far our flight to McMurdo has been delayed by two days, a common occurrence due to bad weather at McMurdo. Pictures from our 2006-2007 and 2007-2008 seasons at McMurdo Station. A Weddell seal chillaxing on the sea ice in front of the Barne Glacier. Antarctic pycnogonid with a barnacle sticking off its trunk. Lindy Mullen waiting by the dive hole for divers to emerge at New Harbor. The dive compressor hut at the New Harbor camp. Anchor ice attached to anemone. Scientists emerge on the sea ice from a C-17 Globemaster III after their flight from Christchurch, New Zealand to McMurdo Station. Jon Sprague in snow trench during 'happy camper school.' He slept overnight in it! Bruce Miller taking photos from the station. The field camp at New Harbor, about 30 miles from McMurdo Station, where our team occasionally dives. Getting cold out on the sea ice.